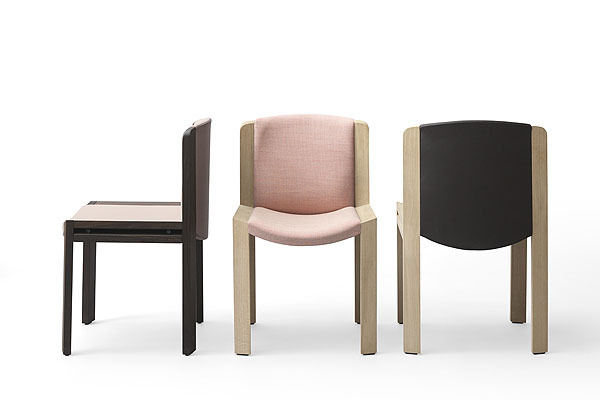 Last year the Danish design brand Karakter Copenhagen introduced its very first collection. 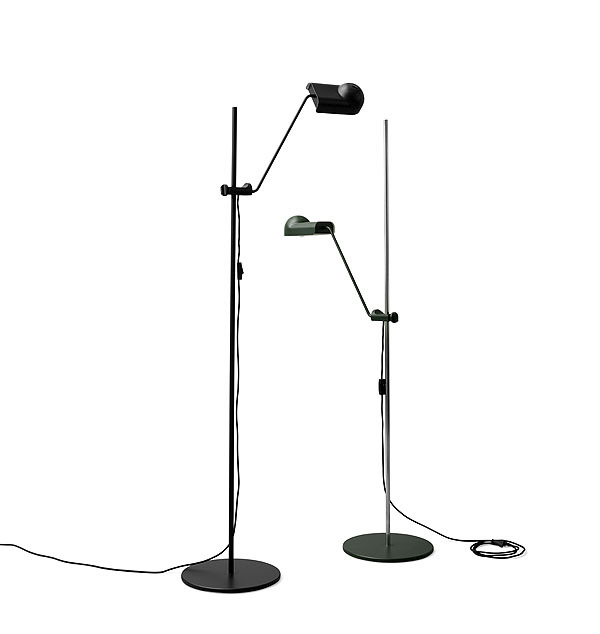 A carefully handpicked collection of lamps, furniture, and gallery pieces – some by designers who have already written the history of design others by those who aspire to write the future. One of the driving forces in last year’s collection was the iconic Italian designer Joe Colombo (1930-1971). As a part of their new collection Karakter will unveil additional designs by Colombo. Pouf. The stool was designed in the 1960’s. 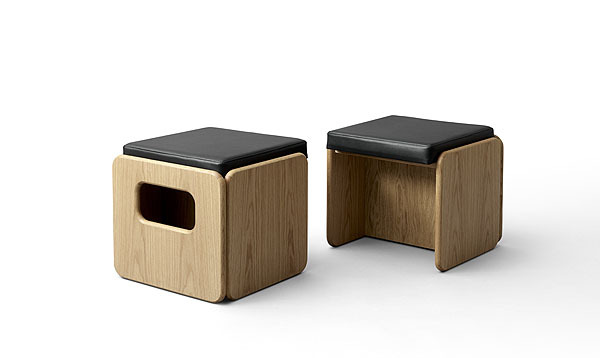 Much like many of his other objects and designs Colombo’s stool has a certain timeless and contemporary cool look. Making it just as relevant today as when it was originally designed more than 50 years ago. Joe Colombo Stool is as elegant as it is comfortable; it’s suitable for numerous places from hotels, lobbies, and offices to private living rooms, hallways and large open kitchens. Made of wood and leather. Well suited for both residential and contract use. Domo lamp. Known for his democratic and functional design, his flexible and convertible furniture meant to be used in many different ways – all to the benefit of the user. Joe Colombo experimented with new materials and the latest technologies and designed futuristic “machines for living”, many of which have become icons for a new way of living. One of them is Domo. 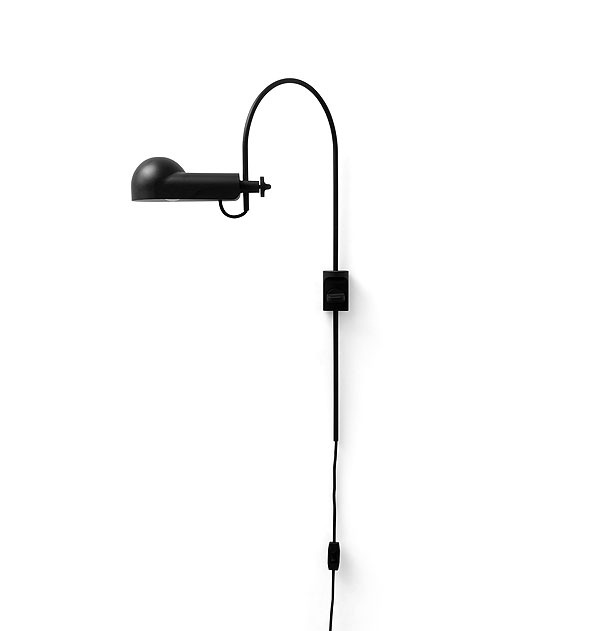 A flexible floor, wall and table lamp. Chair 300. Joe Colombo believed in democratic and functional design. His fascination with functionality meant he always focused on the user – and it also lead him to create designs easily packed and shipped and assembled – the knock-down furniture. One of those was the Modello 300 dining chair. Now re-introduced by Karakter. Designed in 1965, Chair 300 is easily stacked, packed and shipped and knocked down. It is made of birch wood, fabric or leather. Sferico Glass Collection. In his lifetime (1930-1971) Colombo designed a wide range of different drinking glasses. Something that seems very to the point as he is said to love drinking, smoking – and skiing. Unfortunately the first two undoubtedly contributed to his young demise. 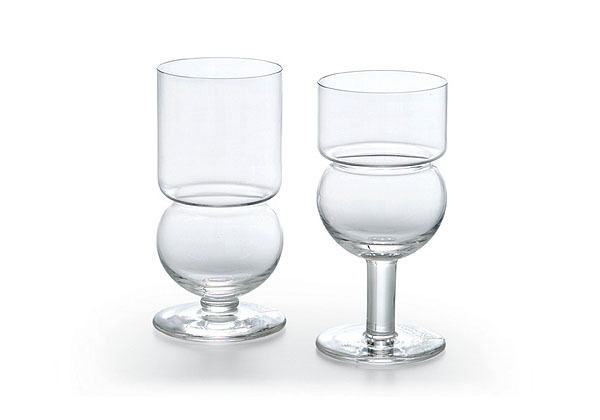 In 1968 he designed a series of ten glasses, all based on geometrical gures. True to his democratic and functional take on design all the glasses were intended for a wide range of purposes – from water, whis- key, and long drinks to juice, wine, and beer and so on. Karakter Copenhagen is proud to bring some of the very nest glasses to your table and will introduce the 10 different Joe Colombo glasses – all gathered as one set.